The following terms and conditions govern the sale of products by BestMobileCanada. By submitting your order to us, you are indicating acceptance to be bound by these terms and conditions. These terms and conditions may be changed without prior notice at the sole discretion of BestMobileCanada. The products and pricing listed on our website are not to be considered offers to sell, but rather advertisements to receive offers of purchase. All orders are subject to review and acceptance by BestMobileCanada. All prices are subject to change so your order may not be accepted or you may be advised of issues of pricing or availability in regards to your order. Receipt of order confirmation sent to you does not signify our acceptance of the order nor does it constitute confirmation of an offer to sell. BestMobileCanada reserves the right to accept or decline your order for any reason at any time after receiving your order. Only based on shipping confirmation will our acceptance of your order be confirmed. All orders must be pre-approved with an acceptable method of payment before shipment occurs. We may need additional information for verification purposes before we accept any order. All prices shown on BestMobileCanada are in Canadian Dollars and do not include the applicable taxes unless otherwise noted. The prices do not include shipping and handling nor any other services such as insurance. Price charged for orders will be the price at the time of the order. BestMobileCanada reserves the right in the event of any item listed at an incorrect price or with incorrect information due to a typographical error or an error on information received from our suppliers to decline and/or cancel any orders for the incorrectly listed item. We may cancel at our discretion orders which may or may not have been confirmed including orders which may have been paid for or charged to your credit card. In the event a charge has been made to your credit card, BestMobileCanada will immediately issue a credit to your card to offset the purchase. You, the buyer, are responsible for all applicable charges including but not limited to: shipping, handling, delivery, taxes and applicable tariffs associated with the purchase. Payment may be made by Paypal. Orders will only be processed based on confirmation of payment (except for Cash on Delivery payment method). The maximum liability to you on products purchased from Canada Computers & Electronics shall be limited to the purchase price of the products you paid. Canada Computers & Electronics will not be liable for any property damage, personal injury, loss of use, interruption of business, loss of profits, or other consequential, indirect, incidental, punitive or special damages. This applies in all cases however caused, whether for breach of warranty, contract, tort (including negligence), strict liability or other reasons. Some of these limitations may not apply in some jurisdictions and those damages limitations not allowed under by exclusion or restriction under law may not apply to you. Title to products purchased fromBestMobileCanada passes to you when the product is shipped. Title to copyrighted material remains with the licensor of the material or the copyright holder. Any additional or altered terms attached or appended to an order shall be null and void, without effect unless agreed to in writing by BestMobileCanada. These Terms and Conditions may not be modified, altered or amended without the written agreement of BestMobileCanada. This agreement with BestMobileCanada cannot be assigned without BestMobileCanada’ written authorization. BestMobileCanada is the intended beneficiary of this agreement. If there is any inconsistency between this agreement and other information or agreements included or relating to products purchased from BestMobileCanada, this agreement will take precedence. 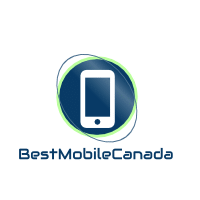 Links to this website without the expressed permission of BestMobileCanada are strictly prohibited. We reserve the right to cancel or revoke any permission given to link to our site at any time for any reason, without any notice without liability to you or any other person. Framing of this website or any of its content in any form or by any method is strictly prohibited.